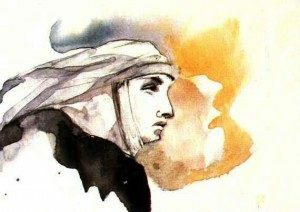 Catherine of Siena was born in Siena, Italy on March 25, 1347 to an enormous lower middle-class family; she was one of twenty-five children. In her early childhood Catherine began to see visions and was already living an extremely austere life. At the age of seven she consecrated her virginity to Christ. When she turned sixteen, Catherine took the habit of the Third Order of St. Dominic and “cloistered” herself in a little room in her parent’s house. After three years of mystical experiences and a deepening relationship with Christ, she rejoined her family and began to serve the sick, especially those afflicted with the most repulsive diseases, to care for the poor, and to labor for the conversion of sinners. Catherine experienced terrible physical suffering and would live however for long periods on no food except the Blessed Sacrament. Through these periods, she was always joyful, happy, and full of practical wisdom. In her life, Catherine was also continually misunderstood even by the friars and tertiaries of her own Order. Even so, men and women attracted to her charm, her love of God, and her extraordinary virtue began to form a spiritual fellowship around her. During the summer of 1370, she received a series of special visions which revealed to her sacred mysteries of her faith. These visions culminated in a prolonged trance, a kind of “mystical death,” in which she had both a vision of hell, purgatory, and heaven and heard a divine command to leave her cell and enter the public life of the world. At this point in her life and through aids, since she herself was illiterate, Catherine began to send letters to men and women in every state of life, even entering into correspondence with the princes and republics of Italy. Her reputation as a woman of wisdom only grew, and soon she was consulted by papal legates about the affairs of the Church. Amazingly, this little woman began corresponding with Pope Gregory XI, who, due to the divisions and hostility of the time, was exiled in Avignon, France. Catherine passionately urged Pope Gregory XI to come back to Rome and to reform the clergy and the administration of the Papal State. Catherine’s mystical experiences with Jesus continued. While at Pisa on the fourth Sunday of Lent, 1375, Catherine received the stigmata, the five wounds of Christ. However, because she had specially requested it from the Lord, the marks did not appear outwardly in her body while she lived. Mainly through the misgovernment of the papal officials, war broke out between Florence and the Holy See, and nearly all of the Papal States rose in insurrection. Catherine had already been sent on a mission from the pope to secure the neutrality of Pisa and Lucca. In June, 1376, she went to Avignon as the peacemaker of the Florentines, but her case for whatever reason was unsuccessful. Nevertheless, she made such a strong impression upon the pope, that, in spite of the opposition of the French king and almost the entire Sacred College, he returned to Rome on January 17, 1377. Catherine spent most of the year 1377 in putting into effect a successful spiritual revival in the country districts subject to the Republic of Siena. At this time she miraculously learned to write. Early in 1378 she was sent by Pope Gregory XI to Florence to try again to make peace. Unfortunately, in the midst of many factions, Catherine became involved in the internal politics of the city, and during a popular tumult on June 22, an attempt was made on her life. She was bitterly disappointed at her escape, declaring that her sins had deprived her of the red rose of martyrdom. At the beginning of August, Catherine heard the news that peace had been reached between the republic and the new pope. She instantly returned to Siena, where she spent a few quiet months dictating her “Dialogue,” the book of her meditations and revelations. In the meantime, the Great Schism had broken out in the Church. From the outset, Catherine enthusiastically adhered to the Roman claimant of the papacy, Urban VI, who in November, 1378, summoned her to Rome. In Rome she spent the rest of her life, working strenuously for the reformation of the Church, serving the poor and afflicted, and composing handfuls of eloquent letters on behalf of Pope Urban. Catherine, however, was coming to the end of her life and had been spending every drop of her energy. She begged Jesus to let her bear the punishment for all the sins of the world, and asked Him to receive the sacrifice of her body for the unity and renovation of the Church. At last it seemed to her that the entire life of the Church was laid upon her shoulders, and that it was crushing her to death with its weight. After a prolonged and mysterious agony of three months, which she endured with exultation and delight, she died. Her last political work, finished practically from her death-bed, was the reconciliation of Pope Urban VI with the Roman Republic (1380).